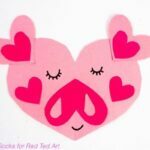 Today, we have a super quick little craft for you – 3D Paper Hearts – I did a Valentine’s Day Decorations “round up” post a few weeks ago, and featured them in there and ever since I really fancied having a go. Check out How About Orange, where I saw them and see how gorgeous they look covering a wall. Stunning! 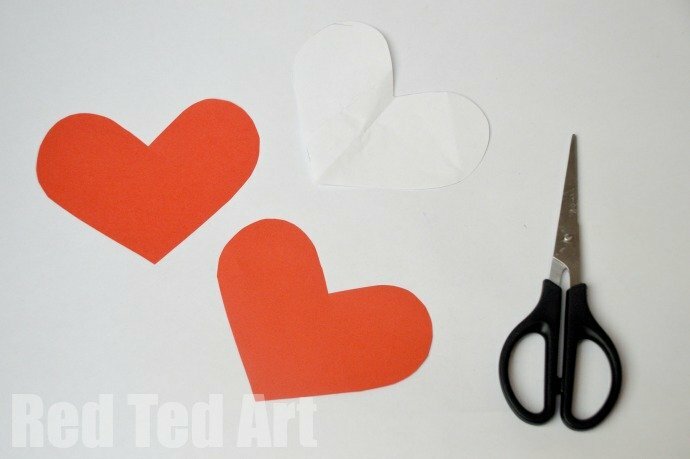 We also used these paper hearts to make Party Boppers – a quick and fun craft. 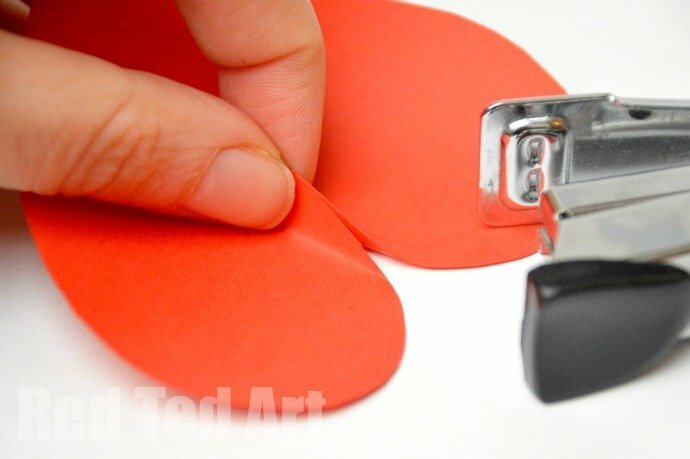 Make them out of felt if you want them to be more durable! 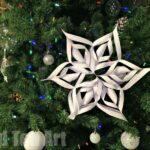 These 3D Paper Heats would look great to decorate your room “just because” or for a lovely party decoration. 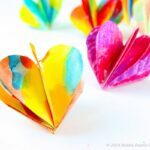 They would also look gorgeous in rainbow colours – ideal for a rainbow party? Remember to SUBSCRIBE to our YOUTUBE channel for lots of fab videos! 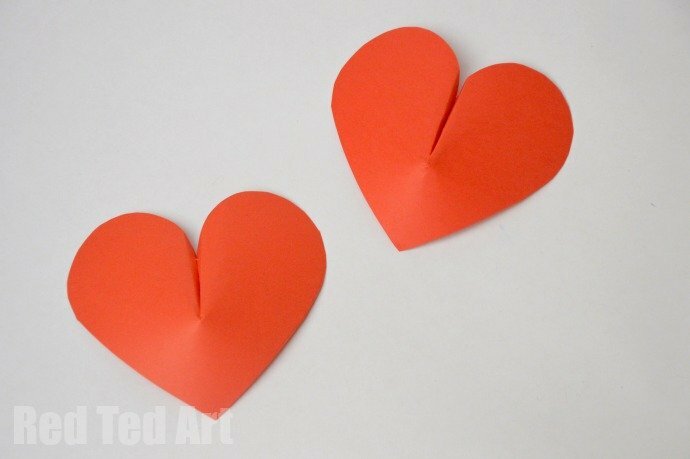 1) Begin by making your 3D paper hearts (we first spotted these lovely hearts here). They are easy to make and look super effective. 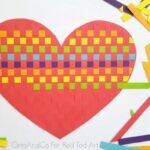 You can of course use other heart crafts too – e.g. 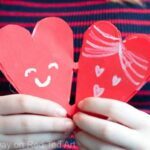 why not have a go at making heart pom poms?! 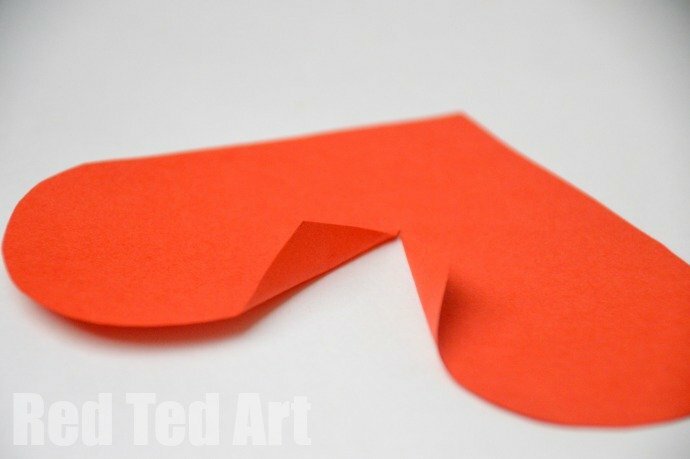 I digress… make a simple paper heart stencil (just print out a heart shape from the internet) and cut out two red hearts. 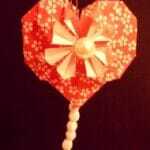 2) Make a snip down the centre of the heart – approximately half way along. Then carefully fold back the sides in a cone shape (take a look at the photo). 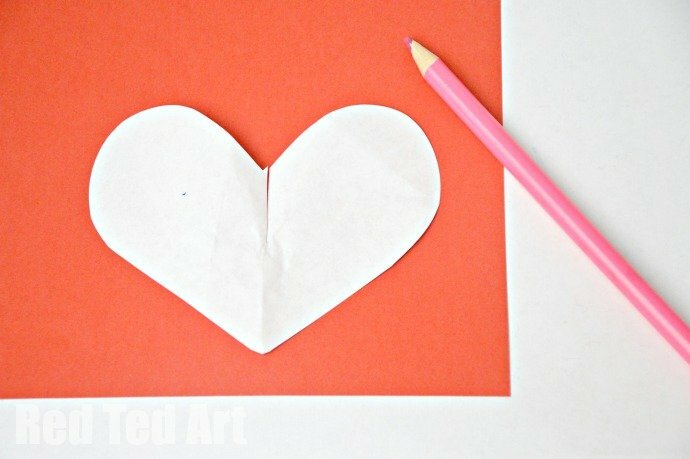 Your 3D paper hearts are now finished! 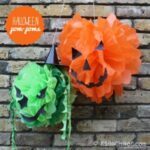 They are sooo easy to make. 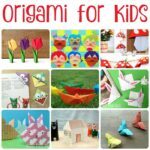 Have fun and make lots and lots more! As close to a live heart…..if it could beat!! !